IT WAS a bittersweet start to the Brisbane to Gladstone Yacht race with the death of well-known sailing writer and media officer for the race for many years, Ian 'Stripey' Grant. Mr Grant, 76, died on Thursday, the day before the start of the race. He had been admitted to the Greenslopes Private Hospital following a major stroke, and died of a heart attack. The ashes of Mr Grant and his wife Marie, who died earlier this month, will be scattered together in the Noosa River. Mrs Grant, 73, his wife of 53 years, died in the same hospital on March 12. The couple's oldest son, Mark, said the double loss had hit the family hard, but it was "comforting to know they're going to be together". Mr Grant, who wrote a sailing column for the Sunshine Coast Daily, and his wife had spent months each spring at the Munna Point caravan park, where they had made friends with the many regular campers. It is near there that their ashes will be scattered. "I've got to get over my rawness and need to understand that this is not about me, but about my parents and what they've done for the family," Mark Grant said of the ashes plans. "So we'll definitely do that." 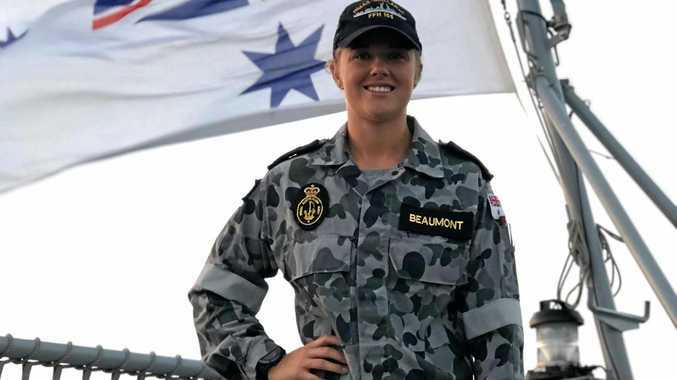 Messages of condolences from the most respected names of the Australian sailing community have flooded in for the veteran journalist. Sailing identities such as Sir James Hardy, Robert Oatley, who owns maxi yacht Wild Oates XI, and Ken Brown of Coastwatch fame have expressed their sadness at the news. "It didn't matter if it was someone like Sir James Hardy or someone who had just arrived in the street with nothing in their pocket, my father had time for everyone," Mr Grant said. "I said to my wife, 'When my time comes to leave this planet, if I'm a millionth of a man that my father was, I'll leave you very happy'." Mr Grant was a journalist and columnist for more than half a century, specialising in sports such as rugby league, but sailing was his passion. 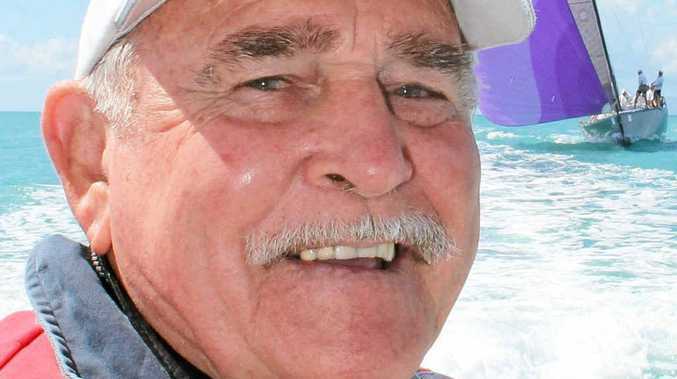 He died just hours before the start of the 2013 Brisbane to Gladstone Yacht Race - an event he had covered as a journalist and commentator and had won as a crew member of Mouse of Malham in 1960. He was also a talented hockey player, having been involved in the train-on squad for the 1956 Melbourne Olympics, only to miss out due to injury. Mr and Mrs Grant leave children Mark, Jan and Tony, two grandchildren and two great-grandchildren. A date for Mr Grant's funeral is yet to be finalised but is expected to be in the second week of April.